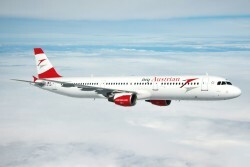 Criminals with AK-47 rifles attacked an armored car at the airport of the Albanian capital Tirana before the eyes of air travellers in an Austrian Airlines plane ready for take-off. According to the police of the Albanian capital, the robbers had entered the airport via a fire brigade access road and reached the runway. This article includes a total of 519 words.